"Welche Storagetopologien gibt es?" Wenn Sie vor dieser Frage stehen, sind Sie hier genau richtig. In diesem Training lernen Sie die typischen Storagetopologien wie Direct Attached Storage (DAS), Network Attached Storage (NAS), Storage Area Networks (SANs) sowie neue Technologien kennen. Bei uns als zertifizierter Microsoft Partner trainieren Sie die Inhalte nicht nur nach unserem hohen Qualitätsstandard, sondern auch nach dem Microsofts. Knowledge and real-world experience working day-to-day with Windows Servers in an Enterprise environment. Knowledge of and experience with basic local storage concepts and technologies, such as disk, volumes, and file systems. Experience working with Windows Server 2012 or Windows Server 2012 R2 (this is beneficial but not essential). IT professionals with real world experience working in an enterprise environment who are involved in storage and high availability management and provisioning, and who want to acquire knowledge and training on the latest technologies in those areas with Windows Server 2012 and Windows Server 2012 R2. 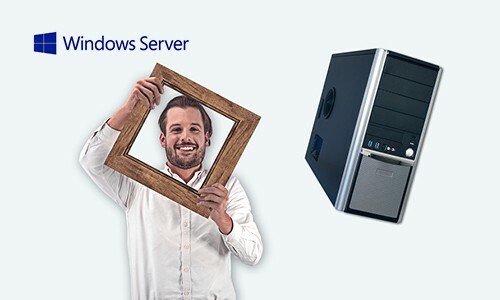 IT professionals with real-world experience who work in a Windows Server 2008 environment and want to assess the latest storage and technologies that are available in Windows Server 2012 and Windows Server 2012 R2.